Working with cloud providers is the best and the worst possible decision VMware could have made. 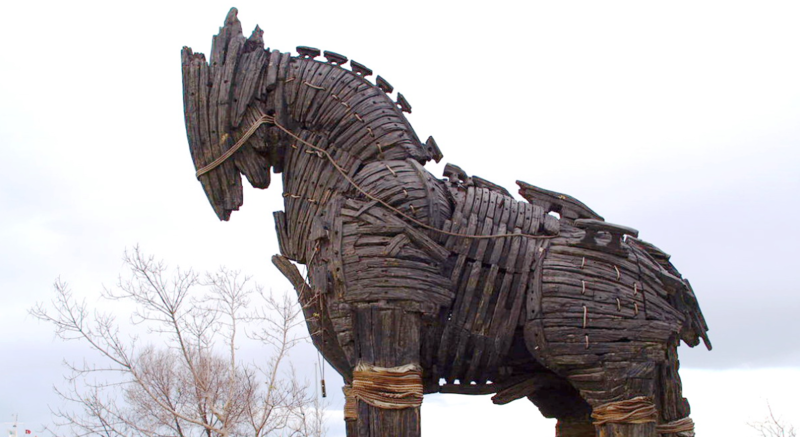 For VMware, this is a win in that they see cloud adoption, but for the cloud providers, this is the Trojan horse that will move customers from VMware to cloud-based SaaS solutions and away from virtual machines. First and foremost, the goal of any cloud provider who offers VMC on their cloud should be to use this service to feed growth in their existing cloud services. The value of portability and cloud agnostic architecture is appealing to the Enterprise and will accelerate cloud adoption for willing enterprise customers, but the long-term value will only be gained by moving from guest OS VM’s on VMware vSphere/vCloud to an appropriate cloud service based on value, security, performance, and automation. This is the realm of a SaaS/Cloud Service. For the Cloud Provider, the long-term goal is to consume workloads out of VMC and port them to SaaS, Containers, Instances, and other services. In effect, VMware has created a gateway service to get workloads out of the Datacenter and into the cloud and paved the way for cloud providers to solidify their relationship with the Enterprise. VMware is using their value and efficiency to define their own replacement. Once workloads are in the cloud, the cloud provider’s account teams will focus on retaining accounts by having established billing, analytics, and supporting services. A strong bond with the Enterprise will ensure the Enterprise will be more likely to deploy new cloud services in the new cloud environment and use VMC only for the maintenance and support of legacy solutions until they can be replaced. This is where the CloudPhysics with your Cloud Provider comes into play. VM’s on VMC offer the greatest value when density and low utilization are observed in an environment, but when an Enterprise starts to experience very large configurations, high utilization, and low-density scenarios, the migration to Cloud Instances should be the objective to reduce costs. VMC has its greatest value if density is achieved, but once the cost meter tips in favor of an Instance over VMware VM’s, the strategy should be to re-platform to an Instance-based model or a SaaS Solution as quickly as possible. CloudPhysics observed that large workloads and low-density consolidation are not viable cost-saving models for workloads on VMware Cloud on AWS. There is a Cost to Density tipping point where Instances become more favorable based on higher utilization or small environments. If you cannot pack a host efficiently and run the environment at near peak density, the value of VMC is greatly reduced. If 100 VM’s are using half of a VMC Cluster, the VM’s may be better suited as Instances due to wasted capacity in VMC. If 100 VM’s are running at 100% Utilization, the resources required may need a significant number of hosts to meet the resource needs and raise the cost higher than the equivalent 100 Instances in a cloud provider. Again, tipping the costs in favor of cloud instance based computing. CloudPhysics will monitor On-Premise and VMC workloads to find ideal placement and packing. It can then also model VM costs to determine a VM is better suited for a cloud Instance model at a lower cost point. Discovery of application and dependent services will be the key to SaaS / Cloud Services Success. Database to DBaaS, Cloud-based applications, and enterprise services such as Cloud Email, HR, EMP, EPM, SCM, Analytics, and a broad range of supporting cloud services ensure for strong cloud integration. Identifying applications, mapping dependencies, and forecasting utilization will allow the cloud providers to efficiently cost and model solutions suited for the enterprise as a cost point greatly reduced over the VM or Instance model. Visibility and knowledge of utilization and dependencies will also find opportunities and limitations in the enterprise that can be corrected by a cloud-based SaaS model. Using CloudPhysics on-premises can bypass some of the cloud migration efforts by finding SaaS plays early. Knowledge of deployed applications and services that can be mapped into SaaS solutions offers a partner and account management portal of exponential value. CloudPhysics discovery and mapping are the multiplier partners will use for better visibility within the Enterprise and forecast greater revenue opportunities with more accuracy. The goal of migration to the cloud should not simply be getting out of the data center and keeping workloads in their original OS VM. While VMC allows for rapid migration with vMotion, the cloud provider should focus on a longer-term strategy of SaaS and Cloud Services adoption. Databases and applications on VMware infrastructure is inefficient and potentially more expensive than a dedicated SaaS solution. Cloud-based app engines, databases, network services, machine learning, and containers offer value beyond simply running Linux or Windows VM’s. With additional monitoring and mapping, the cloud provider should focus on a long-term strategy of migration out of VM’s to cloud services to offer the greatest value. VMware has enticed customers to move to VMware Cloud with incentives such as the VMware Hybrid Loyalty Program where they reward the enterprise with discounts based on licenses owned within the Enterprise. This model ensures customers keep licenses on premises to maximize savings in the cloud but also means that moving more than half your workloads to VMware Cloud on (*) will cost more. There is no incentive to move all your workloads to the cloud as this would eliminate VMware licenses on Premise and dramatically increase costs. In this model, the Enterprise never moves entirely to the cloud beyond 50% of the workloads. To win over customers, the larger goal will be to move as much to SaaS and Services from VMC as possible. As workloads move out of VMC, more workloads from the enterprise can move out of the private data center and into the cloud. The slow reduction in on Premise VMware needs will facilitate the gradual reduction in VMware licenses. The gradual reduction in VMC consumption will also reduce the need for On-Premises Enterprise VMware Licenses. While CloudPhysics may not know entirely how many licenses are owned by an Enterprise, our knowledge of what is deployed, what needs upgrades, and what needs replacement can drive the discussion of cost avoidance when looking at a VMware ELA Renewal. New high-density servers reduce VMware vSphere license needs and cloud services can drive down costs even further. Don’t upgrade, instead Migrate or Replatform with informed cost models and options.